asphalt paving, resurfacing or asphalt repair project? Asphalt Services Inc. has the experience and professional staff to handle all of your commercial paving projects, big or small. As the most reputable asphalt paving companies in Charlotte NC, we focus on offering the highest quality only. At Joe McManus Asphalt Services, we’re the experts at meeting the grading and paving needs of the Concord, NC region. Sealcoating is the most important maintenance element of your driveway or parking lot. 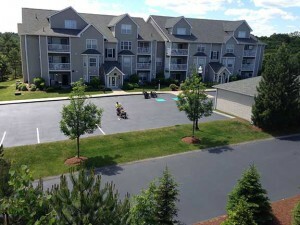 Sealcoat is applied over the asphalt to help protect. Do you need help with an asphalt paving, asphalt repair or sealcoating project? Are you in search of a qualified contractor to perform grading and excavation project? 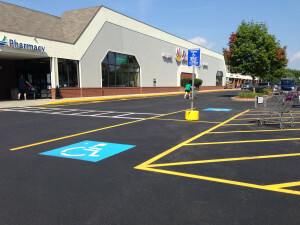 Whether you require help with parking lot line striping or need to perform a complete overhaul on your home’s driveway, the experts at Joe McManus Asphalt Services are here to assist! At Joe McManus Asphalt Services, our company provides top quality paving, sealcoating, grading and excavation solutions to clients from Concord, NC to Charlotte, NC and throughout the surrounding metro region. Other communities in our service area include Lake Norman, Pineville, Gastonia and Harrisburg, NC. We also serve a number of communities in South Carolina, including Fort Mill, Pageland and Lancaster. for the Asphalt project in Charlotte. Asphalt Services Inc. has the experience and professional staff to handle all of your commercial paving projects, big or small. We offer the highest quality. 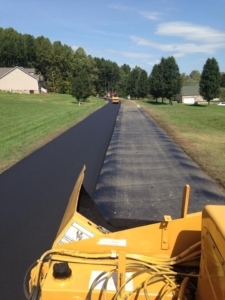 Joe McManus Asphalt Services works with a broad range of different clients, from residential property owners, to commercial and industrial clients and we even perform subcontracting for Charlotte area municipalities. We can help with everything, from parking lots and driveways, to private roadways and city streets. Joe McManus Asphalt Services is fully bonded, licensed and insured. So clients can turn to our company with total peace of mind, knowing they’re working with one of the region’s premier asphalt paving contractors. What’s more, the team here at Joe McManus Asphalt Services has years of experience and it shows in our work! In fact, we’re always happy to refer you to our recent projects so you can see the quality of our work first hand. We’re a family owned business and we take pride in delivering our paving and excavation services at an affordable and competitive rate. Being a reputable asphalt paving companies in Charlotte NC and serving the needs of many clients successfully, we understand the value of hard work it takes to reach here. Thus, all our team members are passionate about providing quality asphalt paving services throughout Concord, NC. In fact, we strive to exceed your expectations of excellence at every opportunity. If you’re in need of top quality sealcoating, asphalt repair or paving, excavation or grading, turn to the true professionals here at Joe McManus Asphalt Services. We invite you to call us today to discuss your project. We’re happy to provide you with a no obligation price estimate. Contact Joe McManus Asphalt Services by phone at 704-490-6069. We hope you can find everything you need. Joe McManus Asphalt Services is focused on providing high-quality on any type of asphalt services and customer satisfaction – we will do everything we can to meet your expectation With a variety of services such as Commercial and Residential Paving, driveways and parking lots Maintenance, Sealcoating, striping, pothole and crack repair. We’re sure you’ll be happy working with us !!!!!!! We hope to see you again !!! !